I am excited to be back at work this week, however, I am not excited to drive. It hurts and I don't have the visibility and such, and I just think it is kind of dangerous, but I need to do this. It is also very hard to get dressed. It hurts like crazy to put my arm into anything and forget about putting stockings on, so until it starts to get nicer out, I am really going to struggle with what I am going to wear on a daily basis. I have (of course) had a head cold all week. It started Sunday and yesterday I think it peaked and I felt like death warmed over, but today I think I am starting to breath a little easier. I did pick up these shoes the other day though, and I just love them. I know that everyone loves their Revas by Tory Burch, and while I am a huge Tory Burch fan, I have funny feet. I wear a 7, but I have narrow feet with a high arch and for some reason Tahari shoes give me the support that I need, all of my basic heels are also Tahari, black, red, silver, gold and gray. LOVE their shoes, and well, any shoes. The boy and I are looking forward to guests for the weekend. It will be fun to have my friend J and her daughter M come up from Chicago. Luckily the weather has cooperated this week and has melted a ton of snow. Unfortunately that also makes things very sloppy and gross. We don't have any "real" plans as we thought it would be best to just kind of wait and see what they felt like doing as well as what the weather is going to be like. 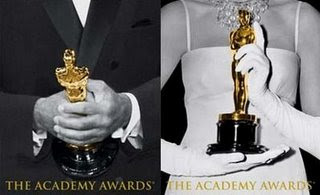 We are looking forward to the Oscars on Sunday though and have a fun little Bingo game planned with cards from here, if you are looking for something fun to spice up your Oscar Night, this looks like a lot of fun! Saturday night my sister and niece Miss G are coming over for a girls slumber party. Girl time, pedicures, fun finger foods and an ice cream sundae bar for the girls, adult cocktails for us! 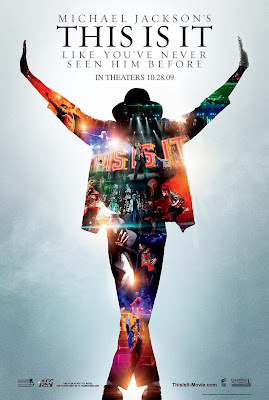 I also have the movie This is It coming from Netflix. I thought that would be something we all could enjoy. On Sunday, the girls are modeling in the Junior League American Girl Fashion Show. I cannot wait to see them! The boy and I have been spending a lot of time talking about rearranging some of my rooms, hoping to get some of that done over the next couple of weeks! I really need more space and need to have things organized better. I have done some purging, but there is still a lot more that needs to be done. We are thinking about doing a tag sale and then just donating whatever doesn't sell. It is a lot of work to do one, but if we just do it once, for a day, then it is done, and onto something else! Can't wait for the weekend, is it Friday yet?